Choosing Spray Foam Insulation will save your business, school, church, or organization a substantial amount of money as well as being the best choice for our environment. Spray polyurethane foam will eliminate heat transfer unlike standard insulations. C&R Insulation has been the first choice for many large commercial, residential and industrial projects in the Mid-Atlantic area. 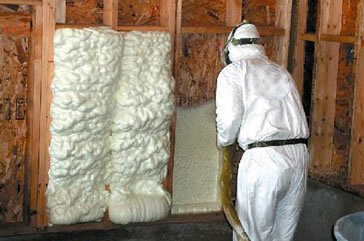 C&R Insulation works to guarantee lower heating/cooling cost of the structure. Commercial buildings that have been insulated by C&R Insulation typically have 50%-70% savings over a standard design with standard insulation. Cellulose insulation is made with 85% recycled newsprint. Proper attic insulation is critical to your home’s energy efficiency. A well-insulated attic keeps warm air out during summers and inside during winters. Fortunately, attics are one of the easiest places in the house to insulate. UPGRADE TODAY & SAVE! wasteful attic into a Green Attic!